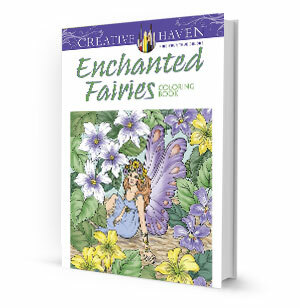 This enchanting adult coloring book transports colorists to a world of magical fairies with 31 gorgeous portraits of winged sprites in flowery settings. Bring these wondrous creatures to life with colors of your own choosing. Pages are perforated and printed on one side only for easy removal and display.